What Footprint Will You Leave? You Don’t Just Visit. You’re Part of the Community. Cape Cod’s long tradition as a premiere travel destination has grown a vibrant maritime community. In addition to more than 200,000 residents, over 4 million people visit each year. Across 413 square miles, that’s a population density of nearly 9,600 people per square mile – nearly equal to Boston! The Cape thrives on tourism, and we want our visitors to feel at home. That means we must take joint ownership in creating an environment that remains pristine. Whether you’re here for a day, a week, or all your life, you leave a footprint on our story. Make it a footprint you’re proud to leave behind. Donate Now to Protect What You Love! Welcome to CARE for the Cape & Islands! The Cape and Islands bring a unique pleasure to our lives. The beauty, ecology, and culture form a place unlike any other. It’s a destination that inspires. It’s a character we must preserve for generations to come. And, it takes change to stay the same. Join Us to Create A Responsible Environment-Together! The Chatham-based Cape Cod Commercial Fishermen’s Alliance has been supporting Cape Cod’s fishing fleet for more than 25 years. 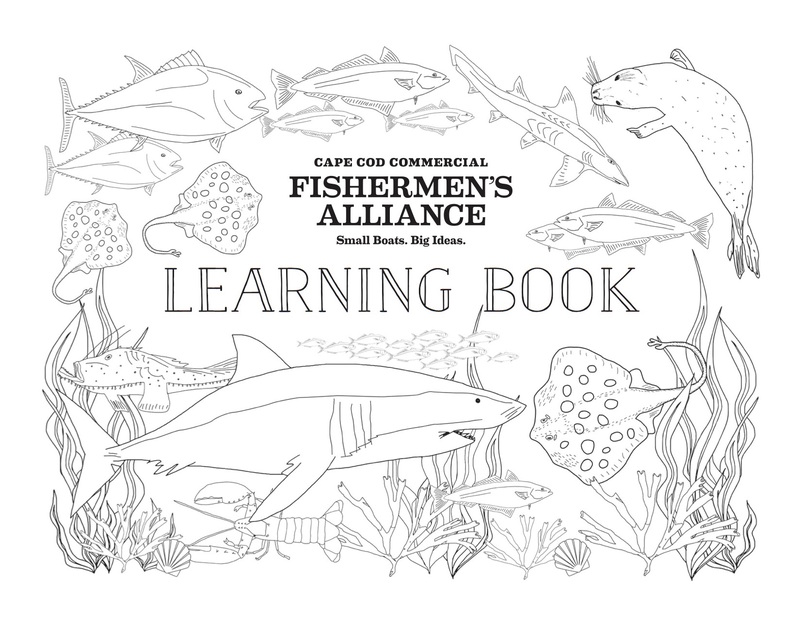 Founded in 1991 by a group of local hook fishermen, the organization was built to help give a statewide and national voice to the small-boat fishing industry centered there. 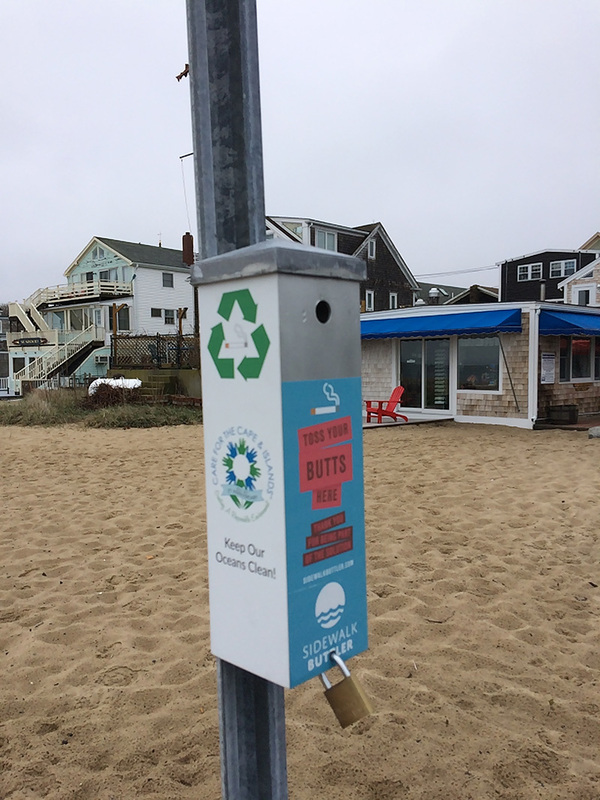 An innovative means to keep cigarette butts off of the street and out of the ocean, these sidewalk “buttlers” have been installed throughout the town of Provincetown in high traffic areas. Not only are these butts collected, but the materials are both recycled and composted, keeping them out of the garbage. It is our hope that this will be replicated throughout the region and beyond. Thank you Provincetown Recycling and Renewable Energy Committee for initiating this project! 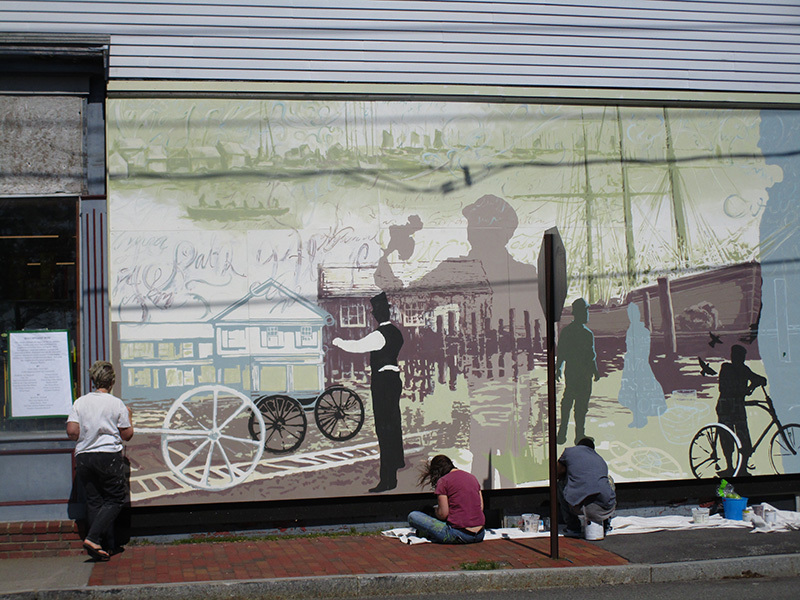 Marking the entranceway to Hyannis Sea Captains’ Row, this mural hangs on Bradford’s Hardware Store, on Pleasant Street, just off of Main Street in Hyannis. This was a true community project and is an extension of CARE’s 2015 funded walking trail and map. Artists Jackie Reeves and Mary-Ann Agresti were assisted by volunteers from the tourism community who helped with final touches to the mural. For a more complete history check out this article on “Cape Cod Wave”. 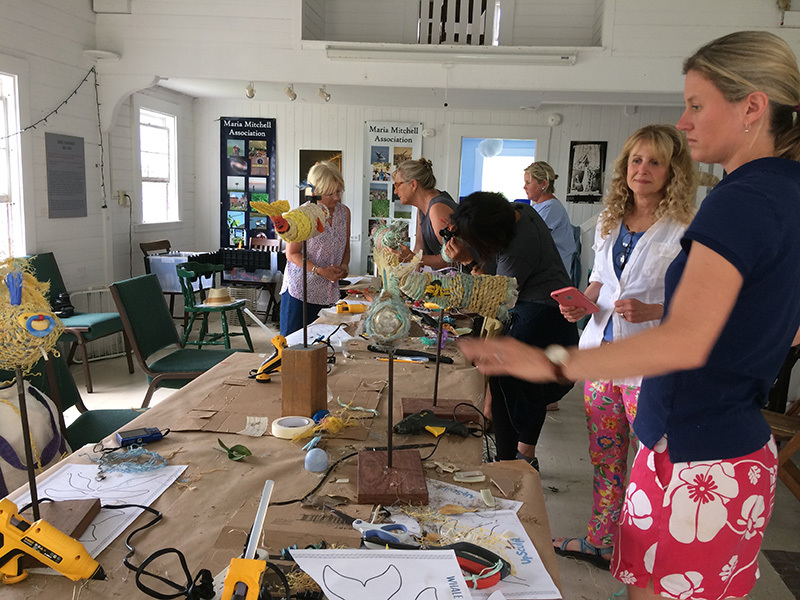 Maria Mitchell Association offered a two-week artist in residence program combining art, up-cycling, education, and conservation led by Cindy Pease Roe. Nantucket, as an island community, values its ocean resources tremendously as a continued source of food and income. There is significant concern over the growing amount of trash that finds its way to our beaches and oceans and ultimately to the birds, fish, and mammals that rely on the ocean habitat. Love Cape Cape? So Do We! Join CARE Now to Protect What You Love! CARE needs your support to change the way travelers think about the impact they make. Together, we can provide more experiential learning programs and opportunities that promote sustainable travel and a sustainable mindset. CARE believes education is most influential at a grassroots level. By involving our businesses, residents, and visitors alike, we strengthen connections to this extraordinary community. As knowledge grows, action becomes organic. 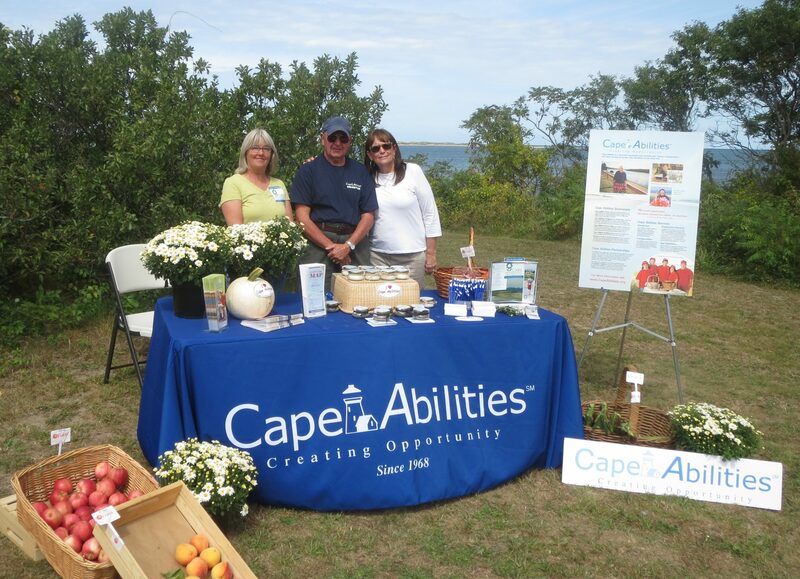 Your support for CARE’s programs demonstrates leadership and pride in creating responsible opportunities that make a positive impact on the Cape. Sustainable travel does more than preserve your personal relationship with our heritage and ecosystem. It preserves the very essence of Cape Cod. And that’s real change! Sustainable travel does more than preserve your personal relationship with our heritage and ecosystem. It preserves the very essence of Cape Cod. Consider supporting CARE as an alternative to purchasing wedding favors and make a difference. A donation to mark a celebration will help to ensure that special memories and this special place will coexist long into the future. During your next meeting or conference consider including a volunteer activity in your agenda. Local nonprofits and recreational areas welcome your assistance. At the end of the experience your attendees will have learned something new and be proud of their accomplishments. Hands on experiences are the best way to learn. Many students are even required by their schools to complete service learning hours and when they apply for university and employment, these activities will ad favorably to their applications. Why not include an activity during your trip where your students learn about the area’s environment and culture and leave feeling good! 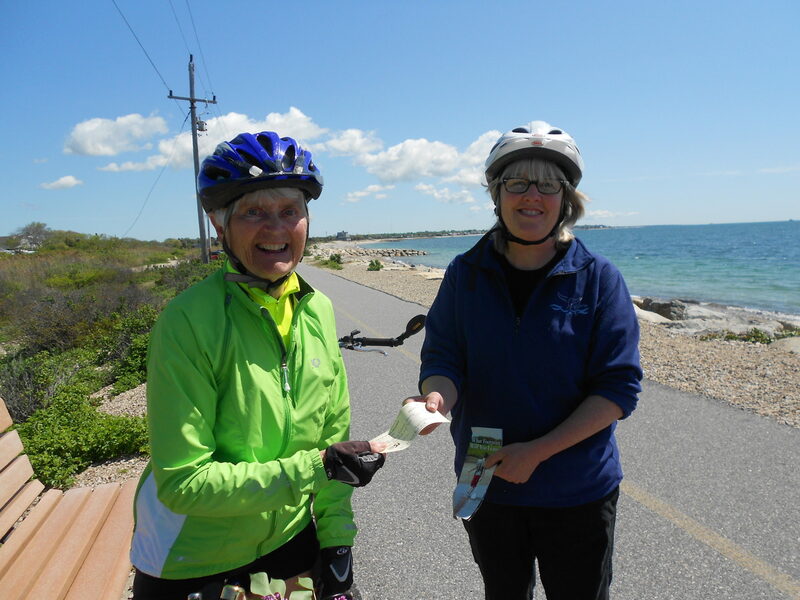 Help Chart a New Course to Cape Cod and the Islands. CARE is a different kind of philanthropy promoting a different kind of partnership. We directly engage with the lifeblood of our community – our visitors – by welcoming your involvement in our fun, educational activities. As part of the growing global movement toward sustainable travel, we focus attention on both the Cape’s fragile ecosystem and its significant place in American history. Think about it. Why wander around town when you could follow Falmouth Preservation Alliance’s walking map of Falmouth’s Heritage Trail or the Sea Captains’ Trail in Hyannis that leads you to the Cape Cod Maritime Museum? You’ll learn about maritime history, Falmouth native Katherine Lee Bates, the author of “America the Beautiful”, historic buildings and landscapes that have shaped our towns over 325 years, while cultivating awareness of the resources that continue to sustain it. 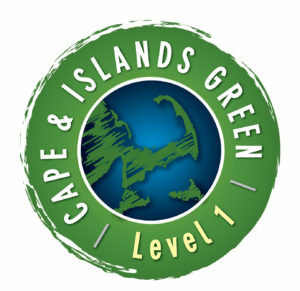 Or, visit Waquoit Bay Reserve to learn about the indigenous peoples’ special relationship with their environment, tour Cape Abilities Farm, a hydroponic farm that provides jobs to local residents with disabilities or find out about important “pollinators” at the Cape Cod Museum of Natural History in Brewster. Are you currently developing a project that may be in line with CARE objectives? Review our Project Criteria and application requirements to learn more about the types of projects we support. Typically RFP’s are made available in November and completed applications are due by the end of the year. If you’d like to discuss your idea with a CARE representative or have questions, please send your inquiry to info@careforthecapeandislands.org. 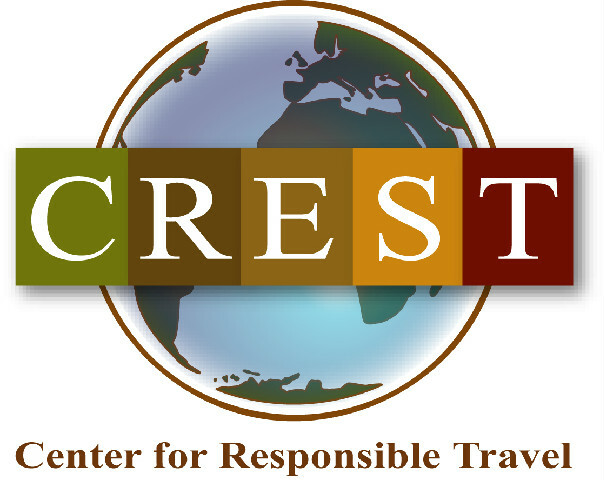 CARE for the Cape & Islands™ is pleased to have the support of its fiscal sponsor, CREST. CREST’s Mission is to promote responsible tourism policies and practices so that local communities may thrive and steward their cultural resources and biodiversity. They are a unique policy-oriented research organization based in Washington, DC dedicated to increasing the positive global impact of responsible tourism. CREST assists governments, policy makers, tourism businesses, nonprofit organizations, and international agencies with finding solutions to critical issues confronting tourism, the world’s largest service industry.